Vera Rubin (née Cooper; born July 23, 1928) is an American astronomer who pioneered work on galaxy rotation rates. She uncovered the discrepancy between the predicted angular motion of galaxies and the observed motion, by studying galactic rotation curves. This phenomenon became known as the galaxy rotation problem. Although initially met with skepticism, Rubin's results have been confirmed over the subsequent decades. Attempts to explain the galaxy rotation problem led to the theory of dark matter. Rubin was born in Philadelphia and lived in Washington, D.C. when she was ten years old. It was in Washington, D.C. that she started to develop an interest in astronomy. Vera Rubin's father, Philip Cooper, was an electrical engineer, born in Vilnius, Lithuania as Pesach Kobchefski. Her mother, Rose Applebaum, originally came from Bessarabia, and worked for Bell Telephone Company calculating mileage for telephone lines. Rubin has an older sister named Ruth Cooper Burg, who was an administrative judge in the United States Department of Defense. Rubin earned her BA degree in astronomy at Vassar College and attempted to enroll at Princeton but never received their graduate catalogue, as women there were not allowed in the graduate astronomy program until 1975. She instead enrolled for her Master's degree in science at Cornell University. It was here she studied physics under Philip Morrison, quantum physics under Richard Feynman, and quantum mechanics under Hans Bethe. She completed her study in 1951, during which she made one of the first observations of deviations from the Hubble flow in the motions of galaxies. She argued that galaxies might be rotating around unknown centers, rather than simply moving outwards, as suggested by the Big Bang theory at that time. The presentation of these ideas was not well received. Rubin’s doctoral work at Georgetown University was conducted under advisor George Gamow. Her Ph.D. thesis upon graduation in 1954 concluded that galaxies clumped together, rather than being randomly distributed through the universe. The idea that clusters of galaxies existed was not pursued seriously by others until two decades later. Upon receiving her Ph.D. in 1954 from Georgetown University, Rubin continued to work on the faculty for another eleven years while raising her children. After her time at Georgetown, Rubin joined the Department of Terrestrial Magnetism (D.T.M.) where she met her long-time friend, Kent Ford. Five years after joining the D.T.M., Rubin and Ford began examining the rotation of neighboring galaxies, the Andromeda Galaxy in particular. Her discoveries in the field of Astronomy has gathered great acclaim heralding several awards including the Gold Medal of London's Royal Astronomical Society making her the second woman to receive the award along with Caroline Herschel. While at Cornell for her Master's degree, Rubin worked on her thesis examining the possibility of a bulk rotation in the universe by searching for “non-Hubble flow”. The paper was poorly received and was rejected by both the Astronomical Journal and the Astrophysical Journal. Rubin later admitted that her data was scant, but her thesis was significant in Gerard de Vaucouleur's claim of evidence for a "Local Supercluster". This forced her to continue her work elsewhere. She still works on analysis of how stars move in the outskirts of galaxies to this day. After her graduation, Rubin taught at Montgomery County Junior College, and also worked at Georgetown University as a research assistant, and in 1962 became an assistant professor there. Also in 1965, she became the first woman allowed to use the instruments at the Palomar Observatory. Prior to this, women had not been authorized to access the facilities. In 1965 she also secured a position at the Department of Terrestrial Magnetism at the Carnegie Institution of Washington  and has worked there as an astronomer since that time. Rubin is currently a Senior Fellow at the DTM, and her work area is described as "Galactic and extragalactic dynamics; large-scale structure and dynamics of the universe." Since 1978, she has researched and analyzed over two hundred galaxies. Rubin began work which was close to the topic of her previously controversial thesis regarding galaxy clusters, with instrument maker Kent Ford, making hundreds of observations. The Rubin–Ford effect is named after them, and has been the subject of intense discussion ever since it was reported. It describes the motion of the Milky Way relative to a sample of galaxies at distances of about 150 to 300 Mly, and suggests that it is different from the Milky Way's motion relative to the cosmic microwave background radiation. Wishing to avoid controversy, Rubin moved her area of research to the study of rotation curves of galaxies, commencing with the Andromeda Galaxy. She pioneered work on galaxy rotation rates, and uncovered the discrepancy between the predicted angular motion of galaxies and the observed motion, by studying galaxy rotation curves. Galaxies are rotating so fast that they would fly apart, if the gravity of their constituent stars was all that was holding them together. But they are not flying apart, and therefore, a huge amount of unseen mass must be holding them together. This phenomenon became known as the galaxy rotation problem. Her calculations showed that galaxies must contain at least ten times as much dark mass as can be accounted for by the visible stars. These were the first robust results to suggest that either Newtonian gravity does not apply universally or that, conservatively, upwards of 50% of the mass of galaxies was contained in the relatively dark galactic halo. Although initially met with skepticism, Rubin's results have been confirmed over the subsequent decades. Attempts to explain the galaxy rotation problem led to the theory of dark matter. In the 1970s Rubin obtained the strongest evidence up to that time for the existence of dark matter. The nature of dark matter is as yet unknown, but its presence is crucial to understanding the future of the universe. The existence of dark matter jointly explains galaxy rotation curves, the motion of galaxies within galaxy clusters, patterns of gravitational lensing, and the distribution of mass in systems such as the Bullet Cluster. Alternative MOND (Modified Newtonian Dynamics) models for galaxy rotation curves have been excluded. Rubin has expressed disappointment about this result, stating "If I could have my pick, I would like to learn that Newton's laws must be modified in order to correctly describe gravitational interactions at large distances. 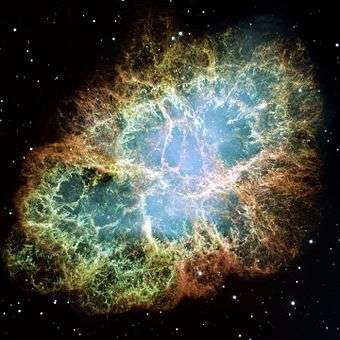 That's more appealing than a universe filled with a new kind of sub-nuclear particle." Gold Medal of the Royal Astronomical Society, the first woman to be honored after Caroline Herschel in 1828. Invited Discourse at the 19th General Assembly of the International Astronomical Union meeting in Delhi, India. Rubin has been awarded numerous honorary D.Sc. Degrees including doctorates from Creighton University, American University, Princeton University, Harvard and Yale. As of 9 June 2013, Rubin has coauthored 114 peer reviewed research papers. She also served on the board of trustees for Science Service, now known as Society for Science & the Public, from 2002–2008. Rubin has been married since 1948 to Robert Rubin, whom she met while he was a fellow graduate student at Cornell University majoring in physical chemistry. All four of her children have earned Ph.D.s in the natural sciences or mathematics: David (1950), Ph.D. geology, a geologist with the U.S. Geological Survey; Judith Young (1952), Ph.D. cosmic-ray physics, an astronomer at the University of Massachusetts; Karl (1956), Ph.D. mathematics, a mathematician at the University of California at Irvine; and Allan (1960), Ph.D. geology, a geologist at Princeton University. Motivated by her own battle to gain credibility as a woman astronomer, Rubin continues to encourage young girls to pursue their dreams of investigating the universe. Overcoming discouraging comments on her choice of study was a constant challenge, but she persevered, supported by her father and, later, her husband and family. In addition to astronomy, Rubin has been a force for greater recognition of women in the sciences. She has advocated for more women in the National Academy of Sciences (NAS), on review panels, and in academic searches. She says that she has fought with the N.A.S., but she continues to be dissatisfied with the number of women who are elected each year. She states that it is the saddest part of her life and says, "Thirty years ago, I thought everything was possible." Rubin is an observant Jew, and sees no conflict between science and religion. In an interview, she stated: "In my own life, my science and my religion are separate. I'm Jewish, and so religion to me is a kind of moral code and a kind of history. I try to do my science in a moral way, and, I believe that, ideally, science should be looked upon as something that helps us understand our role in the universe." Rubin, Vera C.; Ford, W. Kent, Jr. (1970). "Rotation of the Andromeda Nebula from a Spectroscopic Survey of Emission Regions". The Astrophysical Journal. 159: 379. Bibcode:1970ApJ...159..379R. doi:10.1086/150317. Rubin, V. C.; Thonnard, N.; Ford, W. K., Jr. (1980). "Rotational properties of 21 SC galaxies with a large range of luminosities and radii, from NGC 4605 /R = 4kpc/ to UGC 2885 /R = 122 kpc/". The Astrophysical Journal. 238: 471. Bibcode:1980ApJ...238..471R. doi:10.1086/158003. Rubin, V. C.; Burstein, D.; Ford, W. K., Jr.; Thonnard, N. (1985). "Rotation velocities of 16 SA galaxies and a comparison of Sa, Sb, and SC rotation properties". The Astrophysical Journal. 289: 81. Bibcode:1985ApJ...289...81R. doi:10.1086/162866. Rubin, Vera C.; Graham, J. A.; Kenney, Jeffrey D. P. (1992). "Cospatial counterrotating stellar disks in the Virgo E7/S0 galaxy NGC 4550". The Astrophysical Journal. 394: L9. Bibcode:1992ApJ...394L...9R. doi:10.1086/186460. Rubin, Vera C. (1995). "A Century of Galaxy Spectroscopy". The Astrophysical Journal. 451: 419. Bibcode:1995ApJ...451..419R. doi:10.1086/176230. Rubin, Vera (1997). Bright galaxies, dark matters. Woodbury, NY: AIP Press. ISBN 1-56396-231-4. Vera Rubin can be seen on the BBC documentary Most of Our Universe is Missing. In the first episode of the 22nd Season of The Simpsons, Milhouse lists "Vers Rubin" (sic) as his pick for the 2010 Physics Nobel prize. ↑ M. Persic; P. Salucci; F. Stel. (1996). "The universal rotation curve of spiral galaxies - I. The dark matter connection". Monthly Notices of the Royal Astronomical Society. 281 (1): 27–47. arXiv:astro-ph/9506004 . doi:10.1093/mnras/278.1.27. ↑ "Vera Cooper Rubin | Jewish Women's Archive". jwa.org. Retrieved 2016-04-07. ↑ Bartusiak, Marcia (June 1993). Through a Universe Darkly: A Cosmic Tale of Ancient Ethers, Dark Matter, and the Fate of the Universe. Harper Collins. pp. 88–94. ISBN 0060183101. ↑ Irion, Robert (2002). "The Bright Face behind the Dark Sides of Galaxies". ProQuest Science Journals – via ProQuest. ↑ "Rubin, Vera Cooper" CWP Archived April 24, 2013, at the Wayback Machine. ↑ Faculty Members Archived October 17, 2012, at the Wayback Machine. ↑ Scooles, Sarah. "How Vera Rubin discovered dark matter". Astronomy Magazine. Retrieved 5 October 2016. ↑ "13 things that do not make sense". New Scientist. Retrieved 2010-10-19. ↑ James Craig Watson Medal Archived July 23, 2013, at the Wayback Machine. ↑ Lifetime Achievement Award Archived November 4, 2013, at the Wayback Machine. ↑ Women in Science Hall of Fame Archived March 8, 2010, at the Wayback Machine. ↑ "Pontifical Science Academy Banks on Stellar Cast". December 1–7, 1996. Retrieved 2010-10-19. ↑ "Most of Our Universe is Missing". BBC Science & Nature: TV & Radio Follow-Up. BBC. Retrieved 2010-10-19. Bartusiak, Marcia (October 1990). "The woman who spins the stars" (PDF). Discover: 88–94. Retrieved 9 July 2016. Irion, R. (2002). "VERA RUBIN PROFILE: The Bright Face Behind the Dark Sides of Galaxies". Science. 295 (5557): 960–961. doi:10.1126/science.295.5557.960. Lightman, Alan; Roberta, Brawer (1990). Origins : the lives and worlds of modern cosmologists. Cambridge, Mass. : Harvard University Press. ISBN 978-0674644700. Overbye, Dennis (1991). Lonely hearts of the cosmos : the scientific quest for the secret of the universe (1st ed.). New York, NY: HarperCollins. ISBN 9780060159641. Panek, Richard (2011). 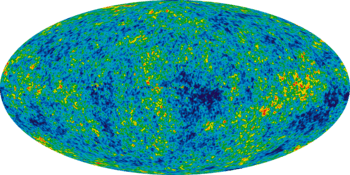 The 4 Percent Universe: Dark Matter, Dark Energy, and the Race to Discover the Rest of Reality. New York: Houghton Mifflin Harcourt. ISBN 9780618982448. Peebles, P.J.E. (1993). Principles of physical cosmology. Princeton, NJ: Princeton Univ. Press. ISBN 9780691019338. Rubin, Robert (2006). "Vera Cooper Rubin (1928–)". In Byers, Nina; Williams, Gary. Out of the shadows : contributions of twentieth-century women to physics (Reprinted ed.). Cambridge: Cambridge Univ. Pr. pp. 343–354. ISBN 978-0521821971. Rubin, Vera (1998). "Dark matter in the Universe" (PDF). Scientific American Presents (special quarterly issue: Magnificent Cosmos). 9 (1): 106&ngash;110. Smith, Julian A. (1995). "Rubin, Vera". In McMurray, Emily J.; Kosek, Jane Kelly; Valade III, Roger M. Notable twentieth-century scientists. Detroit, MI: Gale Research. ISBN 9780810391819.